This course starts in September 2019 and runs for one year, 18 hours a week split over four days. Level 2 Culinary Skills qualification. Level 3 Advanced Diploma in Professional Patisserie and Confectionery. This is a professional programme for those wanting a career within the specialist area of patisserie and confectionery. You will learn and develop advanced practical techniques and knowledge relating to all aspects of patisserie and confectionery as well as supervisory skills. Practical assessments, coursework assignments and end of unit test papers. Full chef’s uniform with knives and patisserie equipment, full list will be given on enrolment. 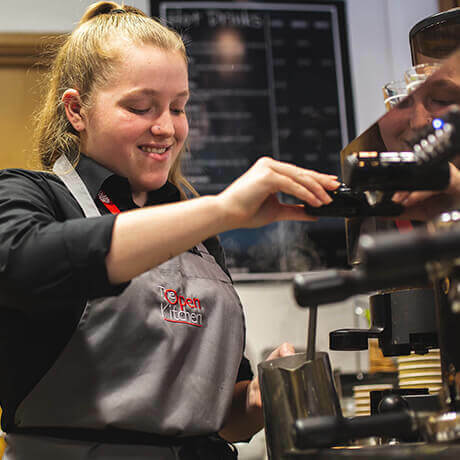 General management and supervisory qualifications and level 3 Diploma in Hospitality and supervision and leadership or you can gain employment within the catering and hospitality sector.